The San Francisco Waldorf School community is a diverse and engaged group of people who share a common interest in Waldorf education and the school. We strive to sustain a community that reflects the great diversity of the Bay Area. We seek to establish an inclusive learning environment in which differences are understood and celebrated. We recognize that the range of ethnicities, nationalities, languages, socio-economic backgrounds, sexual orientation, learning differences, and life experiences within our community enhance the school’s rich and diverse curriculum. We acknowledge that multiculturalism and inclusion touch every part of the school; growth is an ongoing process that calls on the qualities of commitment, cooperation, and respect that are at the heart of our school community. San Francisco Waldorf School’s Strategic Plan calls for multiculturalism and inclusion to be embraced as a strengthening principle across all areas of the institution. The school’s governing entities—the Board of Trustees, College of Teachers, and Administrative Director—oversees implementation of the Strategic Plan. For more information, please contact the Multicultural Council at multiculturalcouncil@sfwaldorf.org. For more details about the school’s mandate on diversity and inclusion, download our Strategic Plan 2020. 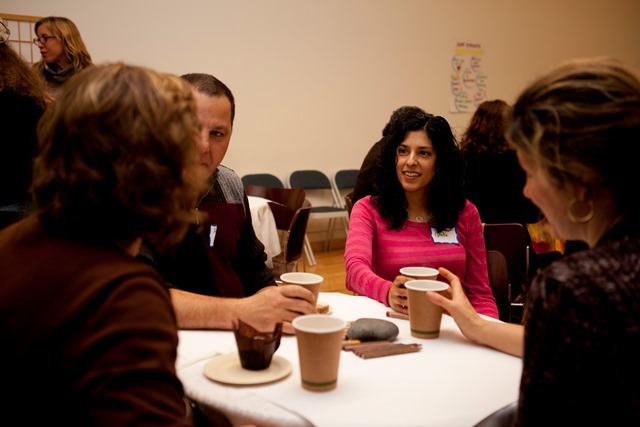 World Café is designed to generate new ideas and explore possibilities around real-life issues. Parents, faculty, and staff come together to learn about each other and how we can create a stronger, more inclusive school community. This unique evening is hosted annually by the Multicultural Council.